What I’m talking about in this podcast episode is letting your personality shine. People want to buy from people. Being a B2B (business to business) or a B2C (business to consumer) is a big deal. I run a business that is technically a B2B, however, we B2C as well. How do we do all that? We don’t really. We’re just being “B” to people. People buy stuff. Businesses don’t. It doesn’t matter who they are. When you actually look at the figures for all these things, B2B, B2C, B2B, etc., they’re actually very similar. Don’t think about business, think only about selling to a person. That person needs to know that they can trust you. One of the ways they can know you is to allow your personality to show. 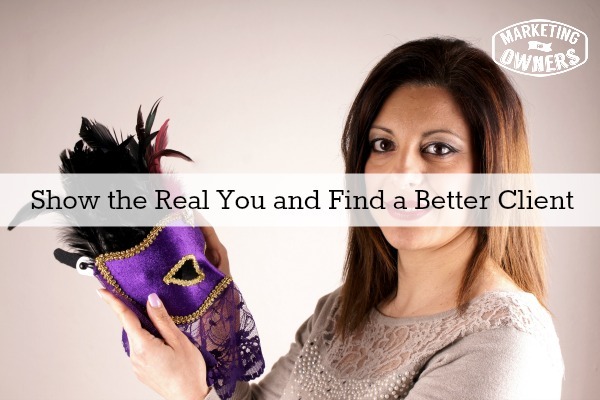 So, in your general marketing mix, in your social media, tell them a little about the real you. No, they don’t want to know you’re in Starbucks drinking a latte, but why are you in Starbucks? Where were you on the way back from? Just explain, build your story. Everyone needs a story. Now, I’m not going to go into my story, but if you go to marketingforowners.com/about, it explains a lot about me. Where I came from, why I do this, how I can help. It builds, its just a little bit of a story because otherwise I do go on a bit. It would take hours. If you want to know my real story and you have time to waste, come buy me a drink one day at conference. I’ll tell you all. Show if you’ve got a sense of humor. Don’t worry about what people think. When you write, write from the heart. Write genuinely. Don’t allow someone to take out your personality. Don’t worry about what your grammar teacher would have thought of what you’re saying. Write genuinely, write from the heart. Speak from the heart. Speak your mind. If you’ve listened enough to my pod-casts or seen a few, you’ll know a bit about me and you all have decided whether you like me or not. If I have just written to you, would you have the same opinion of me? Would you know what I look like? But, by putting myself on video you can find out I’m an old fella. Well, obviously good looking, but that’s for you to decide, but I’m an old bloke. I Don’t feel like an old bloke, but probably look like one to you. But, I have a personality and believe it or not, I have some friends. So, I want you to be my friend, but I want you to want to listen to me. I don’t want to force you to listen. I don’t want you to regret having to learn from me, etc. But, the reason I say, to find your perfect client, because if your client likes you, then they want to deal with you. It’s a lot easier to sell to someone who wants to deal with you rather than someone who doesn’t. Imagine, for instance, you’ve got a load of Apple’s products and then all of a sudden Apple upsets you. You’ll have to change to another provider. So, the next Apple product you might buy with a little regret and a bit of “rrrrgh”. I’m being forced to buy Apple. I don’t want to. You don’t think the same. You want people to want to buy from you. It’s a two way thing. If they want to buy from you, it’s easier for you to talk to them, market to them or sell to them. It cuts both ways. Today, when I am on my way home from here, I’m going to be listening to a podcast in the car. 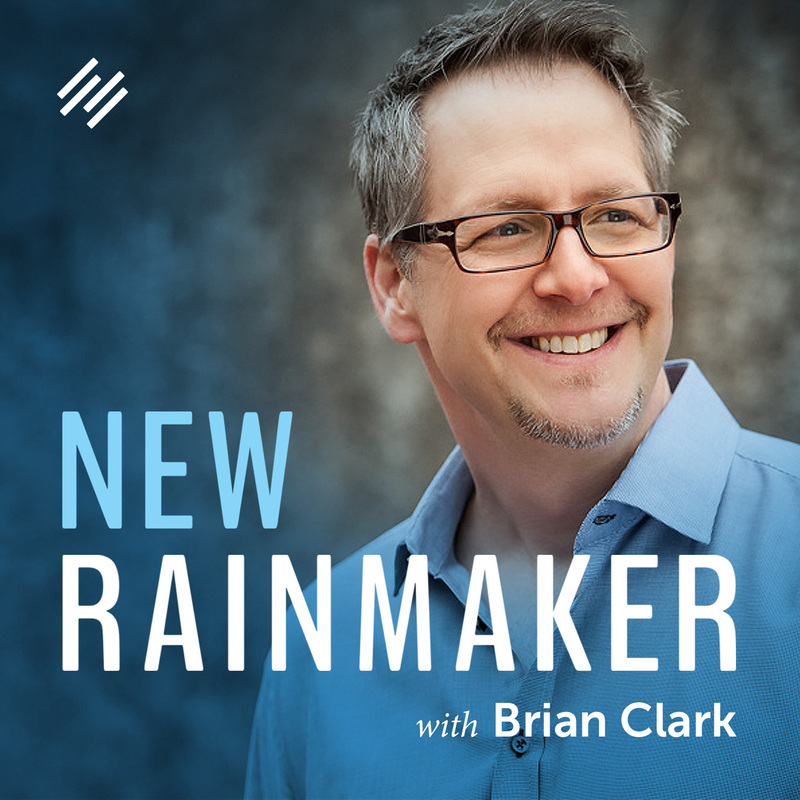 I’m going to be listening to Rainmaker.fm, which is Copyblogger’s Media Business. Rainmaker.fm came out with a podcast network. They’ve got something like ten podcasts. They cover all the realms of marketing. Now, this includes how to write headlines, how to design content. They cover how to do writing, how to do marketing. How to make a podcast. How to do content marketing. How to make video. They got every aspect covered. Of course, Rainmaker and the copyblogger people are very talented. Brian Clark is even on there. Don’t forget they are not perfect, but brilliant. Go check them out and have a listen.